Would you like to meet some of my friends? They are the flowers that I see every time I walk the bike trail near my home. I started this summer and am always amazed at how many beautiful wild flowers grow along this path. Just when I think there isn't a flower on the path that I haven't seen, a new one starts to bloom. I have found it fun to bring back a flower or plant and try and identify it. I have a good book and have found some good websites for wildflower ID. Once I find out what they are, I press and dry them and put them in an album. I exercise my body and my mind at the same time. Come on let me introduce you to a few of my walking buddies. This is what it is like to walk along the bike path. Each side of the path has something different to see. It has sunny places, shady place, and some that are in between. When ever I am here, I can feel God's presence all around. 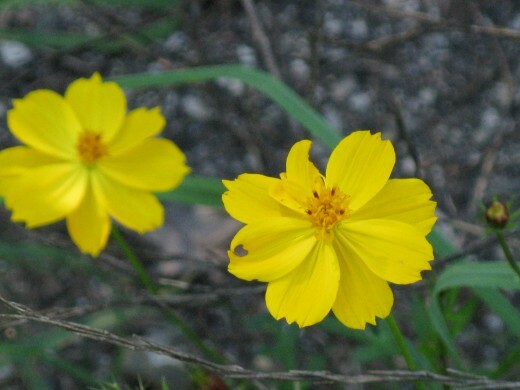 Coreopsis or tick seed is a family of plants, 28 of which are native to the United States. They can be found from coast to coast and from the north to the south. 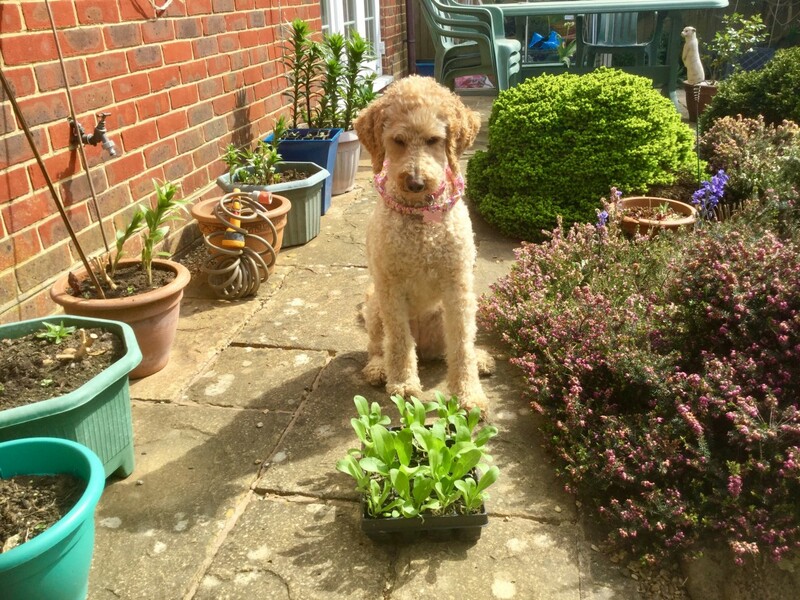 These plants are extremely hardy and can grow almost anywhere; full sun, partial shade, open fields, sunny woodlands, poor soil, dry hot weather, lots of rain, they don’t care. These hardy wild flowers can even be found growing on sandy beaches. All coreopsis have bright daisy like flowers. 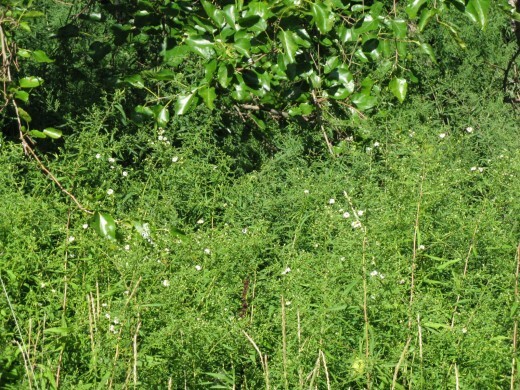 The plants range in height from nine inches to 3 to 4 feet. They come in various shades of yellow, from the lightest yellow to the deepest orange. There is only exception, Coreopsis rosea whichhas pink flowers. Most coreopsis are perennials but even the few annuals self seed freely. This hardy wild flower is covered in blooms from the beginning of May until at least the end of June. These hardy annuals prefer full sun but are not fussy about the soil that they grow in. They usually reach heights of between 18inches to 3 feet. 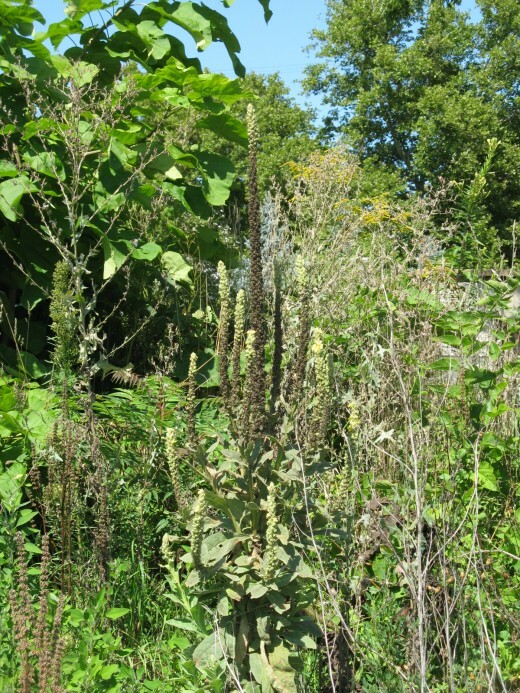 These plants will be found bloom freely along the roadside, in vacant lots and open fields.The plant which has silver gray leaves is covered in bright blue flowers from May through June. 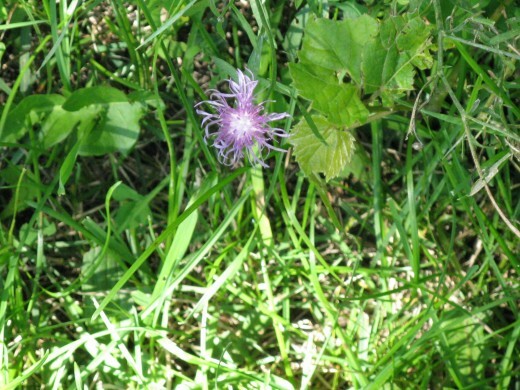 Like most annuals that have been naturalized, Bachelor’s button is a prolific self seeder. 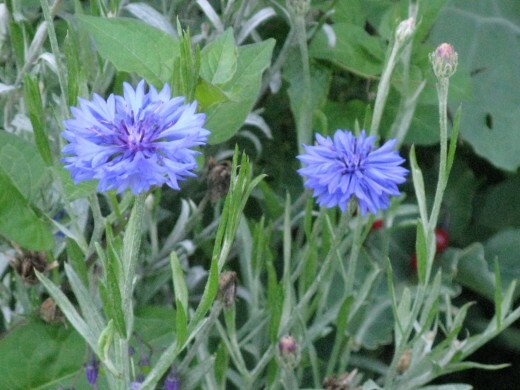 Chicory, Cichorium intybus, is another plant introduced from Europe that has escaped from the garden. In Europe, especially in the Netherlands, chicory is cultivated for as a vegetable. In Europe the leaves are used in salads and its large tap root is dried, ground and used as a coffee substitute. It is seldom cultivated in North America and but can be found throughout the country. 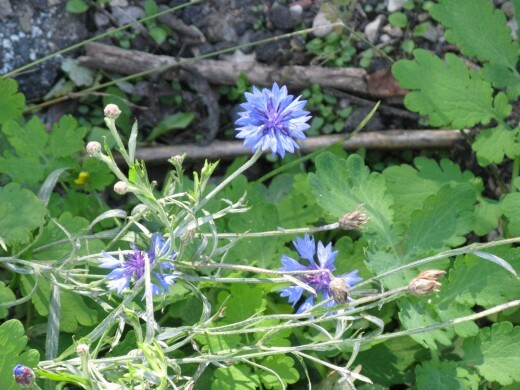 Chicory is a large perennial with blue multi-petaled flowers. It reaches heights of between and five feet and blooms from early spring clear into the fall. It has tough fibrous stems that make it almost impervious to the lawn mower and readily self seeds like its cousin the dandelion. 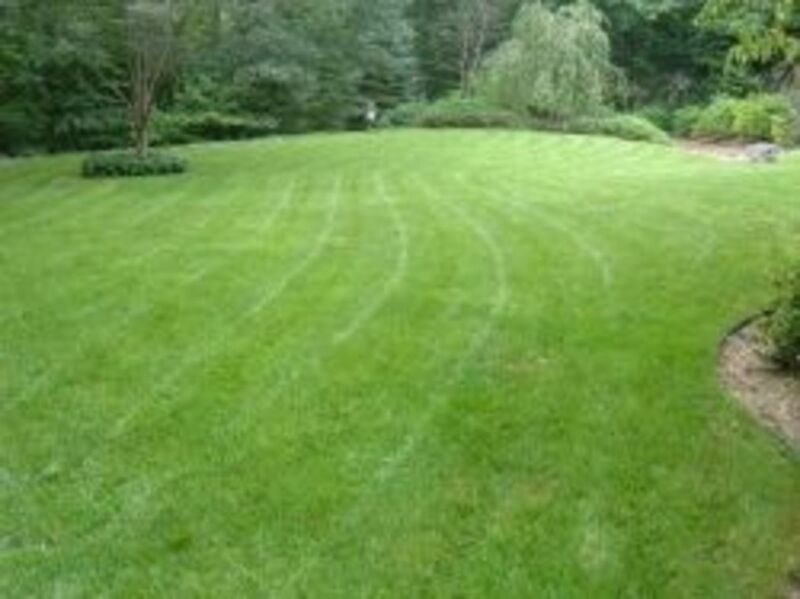 Its growing requirements are few, in fact it prefers full sun, little water, and poor soil. 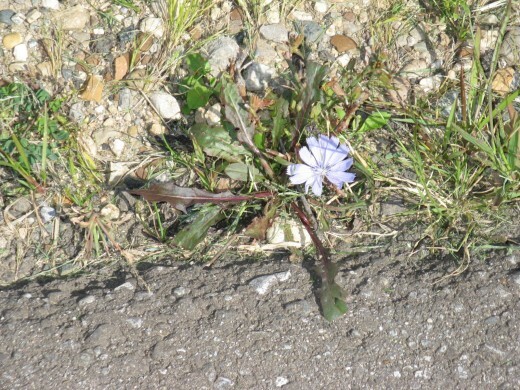 Because it’s so tough chicory is can be found growing in waste places along the roadside or in your front yard. 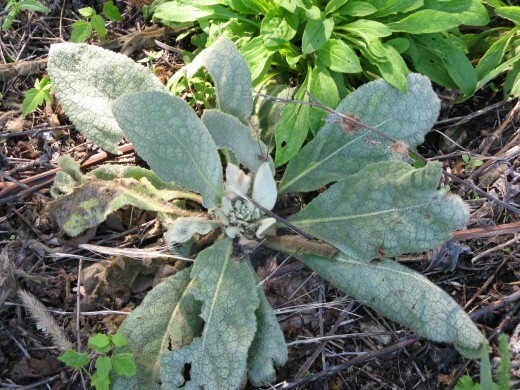 Common mullein, Verbascum Thapsus, is an impressive sight. It is a non-native species imported from Europe.It was brought to America by the Puritans, who used the plant as a medicinal herb. 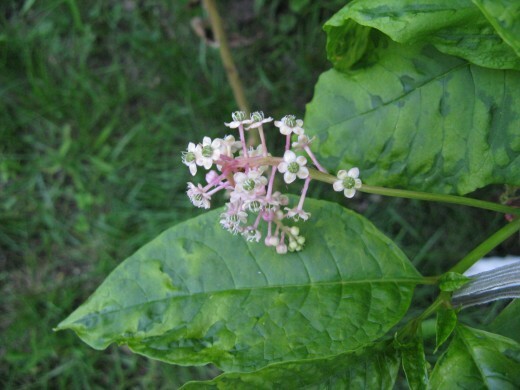 Teas and ointments for ear aches and respiratory illness were made from the leaves and flowers. It is now found throughout North America, except in the northern Great Pains. It prefers dry sandy soil and can be found in waste areas, open fields, open areas in forests and along the side of the road. 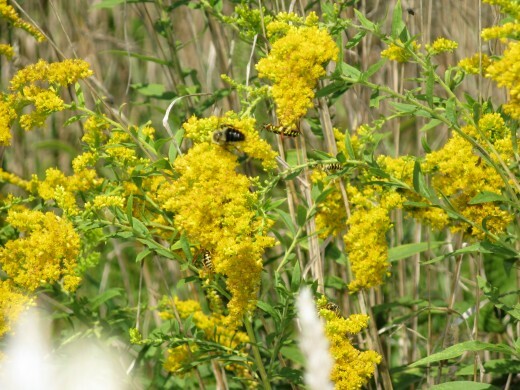 Canadian Goldenrod, Solidago Canadensis, is native to North and South America. There are over 100 species of golden rod in North America alone. It is full sun or partial shade. It is often seen growing along the edges or woodland or in dry sunny field and open prairies. It will grow in all types of soil and seems to prefer soil with a heavy clay content. 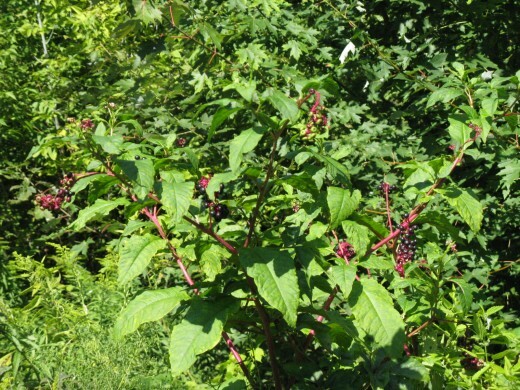 Pokeberry, Phytolacca Americana, is a Native American shrub found from Maine to Florida and as far west as California. Unlike many wild plants that prefer dry waste land, the pokeberry prefers rich soil that has been disturbed and plenty of water. 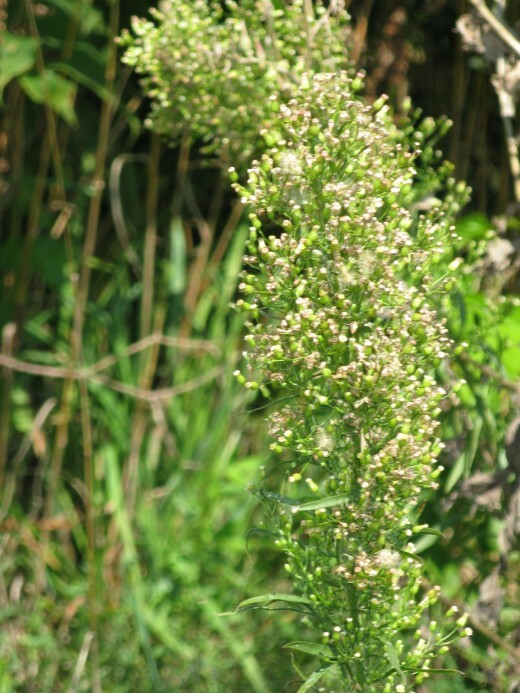 It is found growing in open fields and along the edge of forests. In the South, the first shoots are eaten as a spring green, poke sallit or salad. Once the plant puts out leaves it is poisonous and no longer safe to eat. 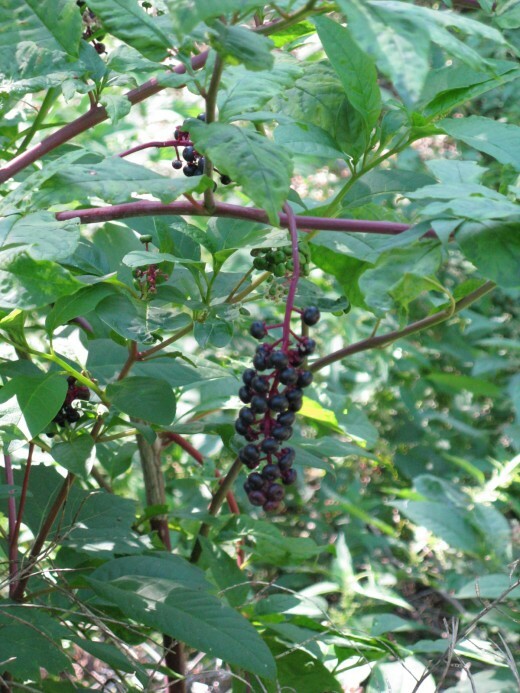 The pokeberry is a perennial shrub with a strong smell and thigh size tap roots. This shrub can grow anywhere from 2 to 10 feet tall. 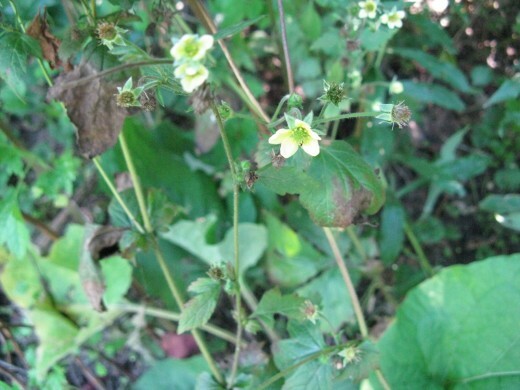 In mid summer, this plant produces a raceme of small white flowers with no petals. Pokeberries will produce flowers continually until frost. The plant will have flowers and fruit at the same time. The flowers become green pea size berries that over time turn a rich purple. The fruit like the rest of the plant is extremely toxic to humans but they are a favorite food of birds. It is the seeds that carry the toxins. When the birds eat the fruit, the seeds just pass right through, to begin the next generation of pokeberries bushes. Evening Primrose, Oenothera biennis, is a biennial Native American plant. Native Americans had many used for this plant. It was used for both food and medicine. The young leaves were cooked and eaten as greens while the roots were used like potatoes. 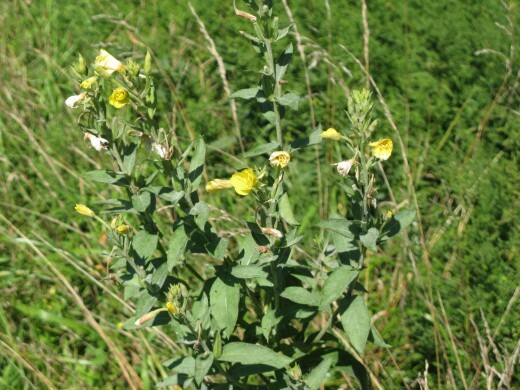 As an herbal medicine, evening primrose was used by Native Americans to treat laziness and over fatness as well as menstrual and abdominal pain. 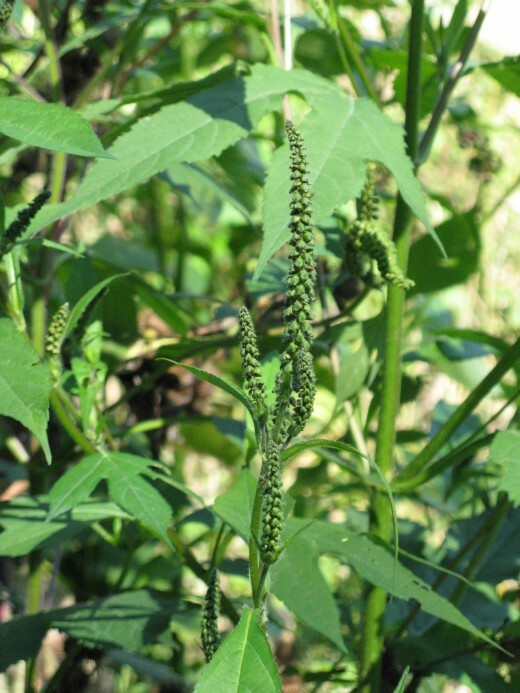 It is found in the United States from east of the Rockies to the Atlantic It is now grown commercially in 15 countries for the valuable oil that is found in the seeds. The evening primrose prefers dry soil and open fields. 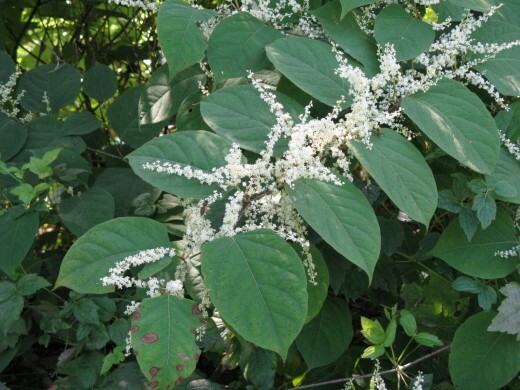 It is common along railroad tracks, roadsides, embankments, waste areas and open woods. 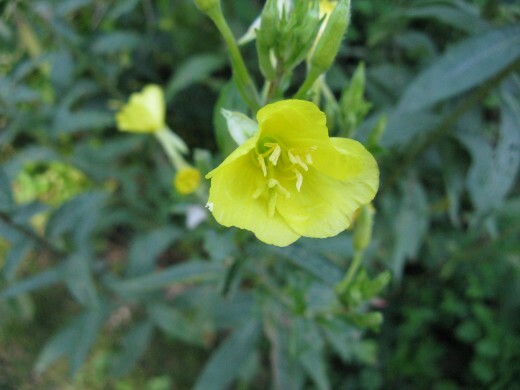 Evening primrose is a tall plant with a large tape root. The plant can reach heights of 5 feet or more. It has a strong sturdy stem that as the season progresses branches out making it appear shrub like. 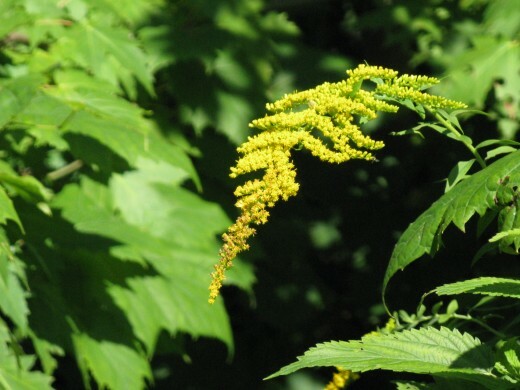 The yellow flowers grow on auxiliary branches all along the stalk. These flowers are what give this plant it’s name. These bright yellow flowers open in the evening and close by noon. The flowers are very fragrant and are pollinated by the Sphinx Moth. Each flower lasts only one or two days. The plant blooms from June till September. 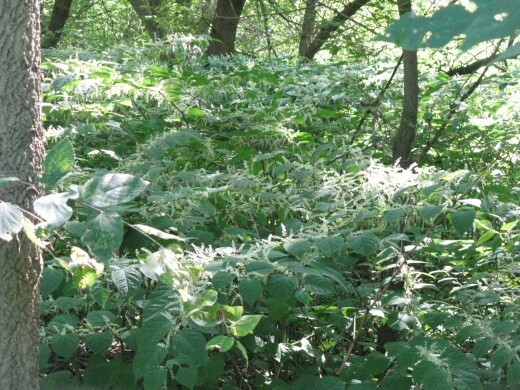 Stinging Nettle is found all over the world except in the extreme north. It’s Latin name is Urtica dioica. 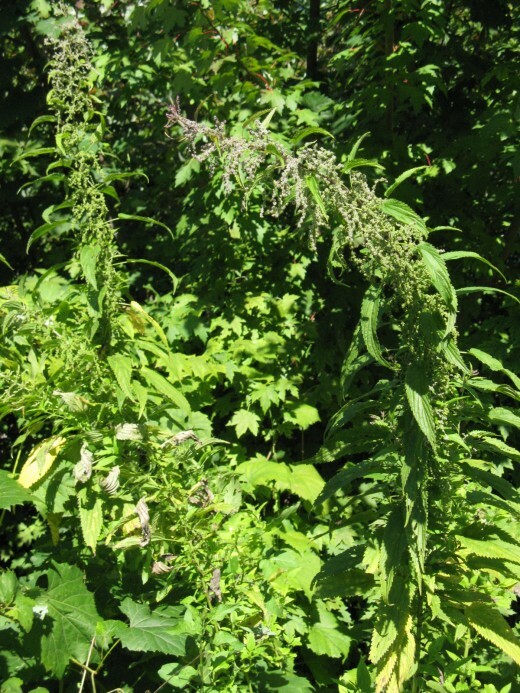 The Stinging nettle found in North America is Urtica dioica subspecies dioica. For well over 2,000 years, stinging nettle has been used world wide as both a food source and healing. It is often cooked and eaten as greens. Its high iron content make it an excellent choice in combating anemia. As a tea, it is often used as a tonic and blood purifier and is valuable as a way to stop internal bleeding. Stinging nettle prefers a moist, rich soil and is often seen growing in; a woodland‘s shady or sunny edge, meadows, hedgerow and waste places. Stinging nettle is an herbaceous perennial. It is a tall plant often reaching over 7 ft in height. 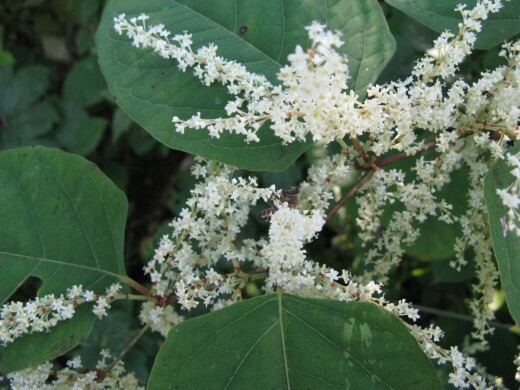 The plant blooms from May to October and its tiny green flowers hang in clusters located just above the leaves. 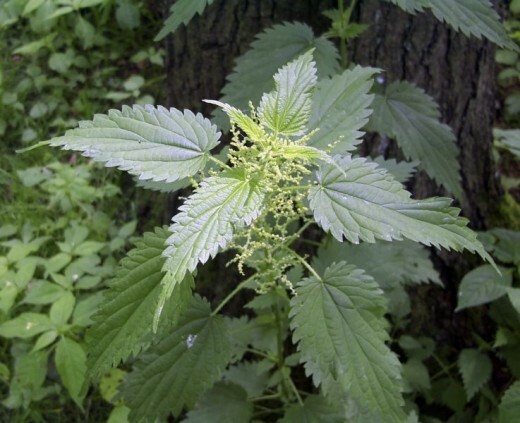 The name stinging nettle comes from the fact that it does in fact sting. The stems are covered with tiny hollow hairs that contain formic acid. When the plant is touched, the tip of the hair breaks off and acts like a hypodermic needle. The formic acid is actually injected under the skin. This sting is very intense and can last from a day up to a week The plant has even been known to raise blisters. T he Brown Eyed Susan, Rudbeckia triloba, is a native American plant. It can be found from the Rocky Mountains east and from Canada to Georgia. This plant will grow in full sun or partial shade. It likes its soil rich and moist but will tolerate a little gravel or clay. Brown Eyed Susans can be found growing in low wetlands, rocky slopes, along railroad tracks, abandoned lots and open fields. This plant is a biennial that readily self seeds. Small rosettes form the first year. 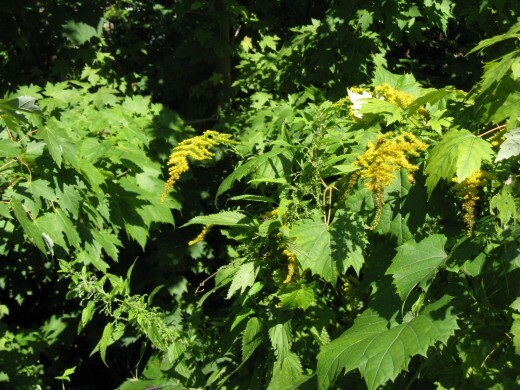 In its second year, it becomes a tall many branched plant covered with yellow flowers with brown centers. 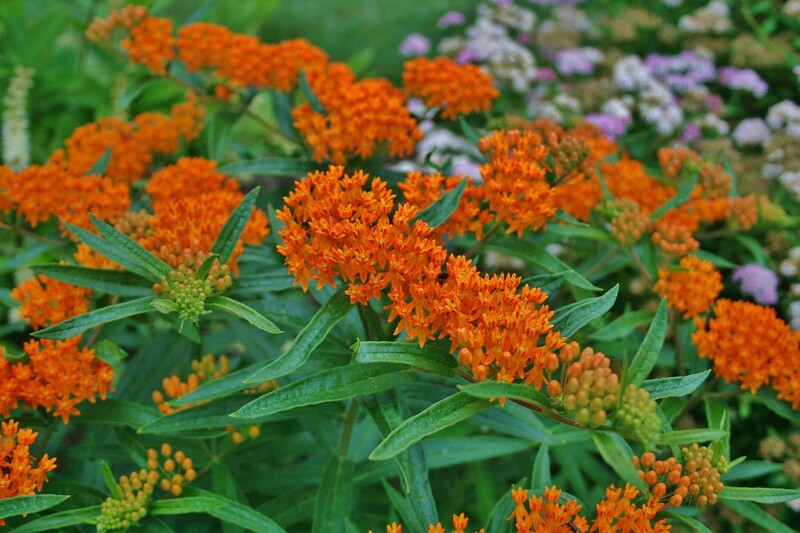 Often times a single plant may have over 100 blooms. 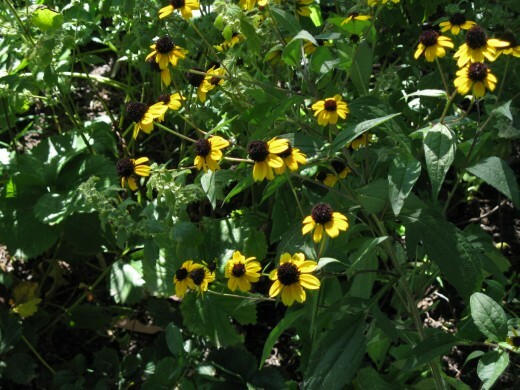 The Brown Eyed Susan stands any where between 2 and 5 feet tall. It blooms continually from June to November. Bees and other insects find this plant irresistible. Does anyone know what this bush is? If anyone know what the mystery plants are please let me know. Information About the PLANTS National Database from the U.S. Department of Agriculture. 155 megabytes of digital photographs help identify wildflowers found in Michigan including common and Latin names. Growing Herbs as Simple as 1, 2, 3. So glad that both of you enjoyed this hub. I am always amazed at the poisonous plants growing all around us. It's a wonder any of us ever grow up. Oh, I'm not good at knowing the names of any of these so I can't help on the ones you don't already know. Enjoyed the photos though. Looks a lot like the flora that lines my little country road as well.